CSO – 2014 Awards for VBI. With the infinite blessings of Gurudev Sri Sri Ravi Shankar ji, we got the honor of receiving the CSO – 2014 awards given by Election Commission of India, on behalf of the entire Volunteer for Better India team. To strengthen Indian democracy by participating in the election process actively. Grateful for being given the opportunity of being useful towards the vision of VBI for making a peaceful and prosperous India. 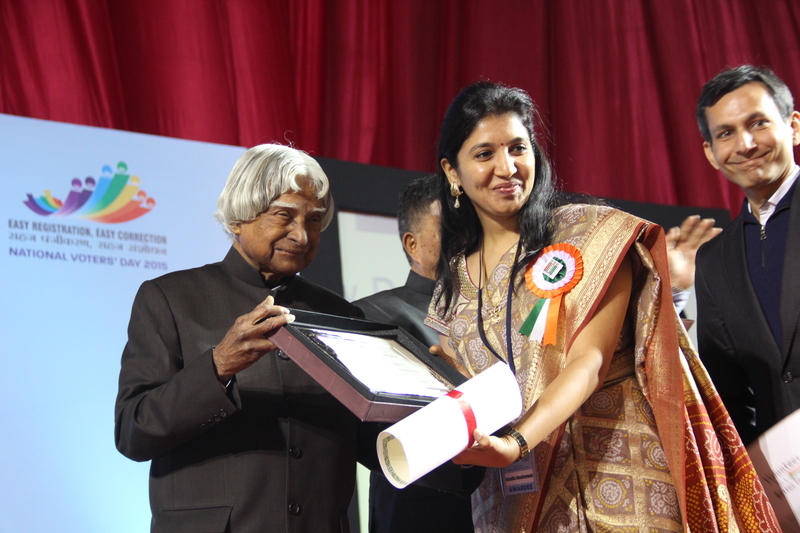 Congratulations to the entire VBI team for the valuable contribution. Special thanks to my parents for teaching us good values and setting great examples through there own actions. Sincere regards to them.